Tue., Feb. 28, 2017, 10:09 p.m.
MEXICO CITY – Even during his seven weeks away from competition, Rory McIlroy managed to stay relevant. He started last week by accepting an invitation to play golf with President Donald Trump. It was his first 18 holes since he played through a rib injury at the South African Open. McIlroy ended the week by playing a match against Dustin Johnson. He returns this week at the Mexico Championship, and this is no time for a siesta. The Masters – the only major keeping McIlroy from the career Grand Slam – starts in 37 days. One positive aspect from so much time off so early in the season is that McIlroy has been more consumed with recovering from a hairline fracture of his rib than with his pursuit of an elusive green jacket. Then again, that time off gave him a good view of the competition. Consider the last four weeks alone. Hideki Matsuyama won the Phoenix Open for his fifth victory in his last nine tournaments worldwide. Jordan Spieth got back into the race for No. 1 when he won Pebble Beach. Johnson reached No. 1 the following week with a five-shot lead at Riviera. And then Rickie Fowler showed up last week at the Honda Classic, finished bogey-bogey and still won by four shots. It’s what led Jack Nicklaus to say Sunday that he couldn’t recall golf ever being so top-heavy with talent. “I think you’ve got more good players in the game today – that have a chance to win a major championship – than you’ve ever had in the history of the game,” Nicklaus said. “And I don’t often say that. I mean, we had a pretty good ear when I played, not much of an era when Tiger played. … Not much of an era when Arnold was playing. And prior to that they had Hogan, Snead, Nelson, which was a pretty good era. No one has really noticed McIlroy missing because so many top players are winning. The question is how quickly he can recover. The rib injury – he said he hurt it from overuse while testing so much equipment during the offseason – cost him four tournaments and came at a bad time. 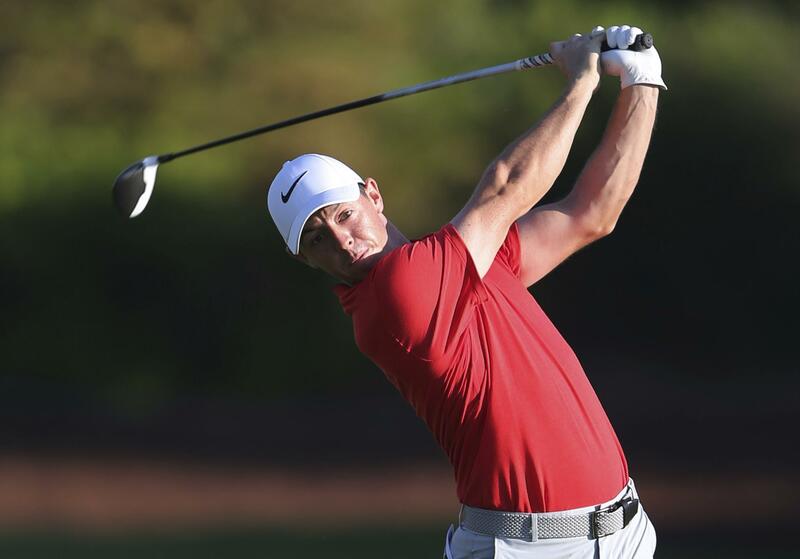 McIlroy had won the FedEx Cup with two big victories, and nearly won in South Africa with a bad rib. Two years ago, he already had won three times in the first half of the year when he injured his ankle playing soccer and missed two months, which cost him a chance to defend his title in the British Open at St. Andrews. That injury was far worse, and it took until the end of the year for him to win again. “It’s frustrating because I felt like I started the year so well,” McIlroy said. He said he felt the pain in his rib on Friday but kept playing because he didn’t want to let anyone down. Only when he had tests after the tournament – he lost to Graeme Storm in a playoff – did he realize the extent of it. McIlroy was only heard from on a few touchy subjects. First, there was an interview with the Sunday Independent in Ireland in which the 27-year-old from Northern Ireland said he resented how the Olympics forced him to choose whether to represent Ireland or the United Kingdom and it reached a point that it wasn’t worth the trouble going to Rio. Then, a photo emerged of McIlroy playing golf with Trump. By the end of the week, he had heard enough negativity that he took to Twitter to defend his decision . He said their common ground was golf, nothing more. Every shot counts now. The competition is as good as ever. The Masters is around the corner. Published: Feb. 28, 2017, 10:09 p.m.